The lyrical headline goes back to a poem called “Tannenfeld”, which was found in the patient’s records of Rudolf Ditzen, better known as the author Hans Fallada. Rudolf Ditzen was born on July 21st 1893 in Greifswald as the third child of the judge Wilhelm Ditzen and his wife Elisabeth. He was raised in a bourgeois home. However, he suffered under the stressed relationship to his authoritarian father, who never seemed to acknowledge him. When the father got a new job in 1899 in Berlin, the family moved to the capital. An further new job made the family move to Leipzig in 1909. Between 1901 and 1911 Rudolf Ditzen went to different grammar schools in Berlin, Leipzig and Rudolstadt. At school he was an outsider and became more and more isolated. For the first time only by himself, he came to Rudolstadt when he was 18 years old and studied at the local princely grammar school. Pubertal problems strengthened his tendency to introversion and depression. Together with his friend Hanns Dietrich von Necker he decided to commit suicide in a faked duel. The friend died, Rudolf Ditzen survived and could never overcome this tragedy. He was badly injured, arrested and charged with murder and at first he had to go to the mental hospital of Jena University. The murder charge was dropped because of the clear intentions to commit suicide. From January 1912 Rudolf Ditzen lived in the mental hospital in Tannenfeld, where he decided to become an author. The isolated life of the patients in Tannenfeld stayed nearly untouched of world affairs, wars and social changes. On the recommendation of a doctor, the father sent his son – who was recovered, but detached from the world – to Posterstein, close to Tannenfeld. In Posterstein Rudolf Ditzen was educated in agriculture – with a farmer’s practical profession he was supposed to learn how to live. 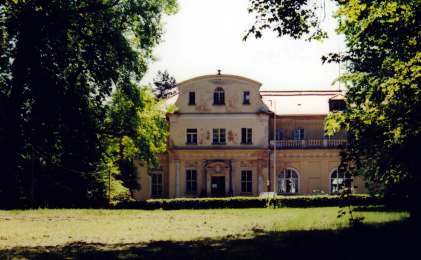 From August 1st 1913 Rudolf Ditzen and two other students started to work at Posterstein manor. The education was successfully finished in 1915. Rudolf Ditzen became specialized in breeding potatoes and worked as a scientific assistant, bookkeeper and potato specialist at different farms between 1915 and 1918. Again he suffered from depressions, which he temporarily tried to defeat with drugs. 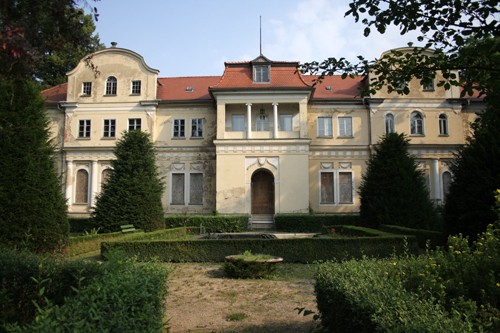 After a first withdrawal treatment in 1917, he stayed once more in Tannenfeld mental hospital two years later. 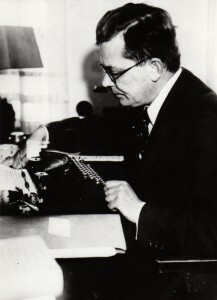 With his novel „Der junge Goedeschal“, published in 1920 under the pseudonym Hans Fallada, Rudolf Ditzen definitely decided to become an author. At the beginning a sidejob, he became a professional writer in 1930. Already with his second novel „Anton und Gerda“ (1923) his name became an insider tip, the novel „Bauern Bonzen und Bomben“ (1931) made him popular in Germany and “Little Man, What Now?” (1932, in English: 1933) became a worldwide success. At the same time Fallada became more and more addicted to drugs and was forced to get money illegally to pay the drugs. That led to a further imprisonment, where he wrote his successful book “Who Once Eats Out of the Tin Bowl” (1934). Later on, Rudolf Ditzen and his young family bought a cottage in Carwitz/ Mecklenburg. He wrote impassionedly, often until he was completely exhausted, an exhaustion which he tried to defeat with drugs and alcohol. That led to a recurring cycle of writing, exhaustion, drug abuse and withdrawal treatments. 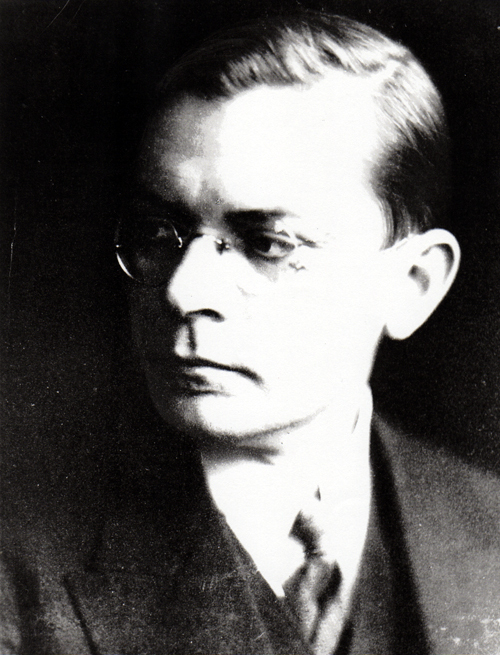 With the mark of this lifestyle Hans Fallada died in 1947 in Berlin. 1899 the neurologist Dr. Arthur Tecklenburg bought Tannenfeld from the Courland family’s successors, including the castle and the park. He renovated and rebuilt the castle, expanded the site with several buildings and restored the park. The former manor house became villa “Haus Tannegg”. 1901 the villa “Waldegg” was built and equipped with electricity, steam heating and water closet. Three years later a new garden house and a solarium were built. 1906/07 villa “Talgg” and 1910 villa “Brunneck” were added. 1911 the castle was extended and the interior became Jugendstil styled. – A modern mental hospital for the upper middle class was finished. In 1949 the Sozialversicherungsanstalt Thüringen bought the hospital. Until 1985 it has been an independent hospital, and from 1989 on it became a part of Schmölln hospital. Later on Tannenfeld was used as a home for the elderly until 2004. Right now the castle and many of the villas are vacant and for sale.